​Why is a 2-bedroom house best? The facts are these: urban land scarcity is rising and our population is growing. This has resulted in the average full title stand decreasing to nearly half of what it was in the 1970s. But how does this affect our country’s architecture, our choices in homes / sizes, and the prices attached to residential structures? And which architectural firm could be perfect to help you achieve your dream, two-bedroom home in South Africa? According to statistics reported on FNB (First National Bank), the average size of a full title stand built between 2015 and 2019 measures about 552m²—nearly half of full title homes built in the early 1970s. And the area with the most acute land scarcity in South Africa? The City of Cape Town, as it boasts sea on a few sides plus a large mountainous nature reserve in the middle. This has resulted in the Western Cape province having the lowest average full title stand, reaching only 487m². Although Gauteng offers up more land, its scarcity is also increasing as the area is becoming more congested. Its average full title stand is not much bigger than 552m². However, in the quest for affordability, it seems that households would rather sacrifice outdoor space than indoor space. This is evidenced in the decline in full title building size not keeping up with the average stand size decline. The result? A boost in full title land utilisation rate (building size / stand size) from a mere 20.4% for homes built from 1975—1979, to 33.2% for 2015 – 2017. 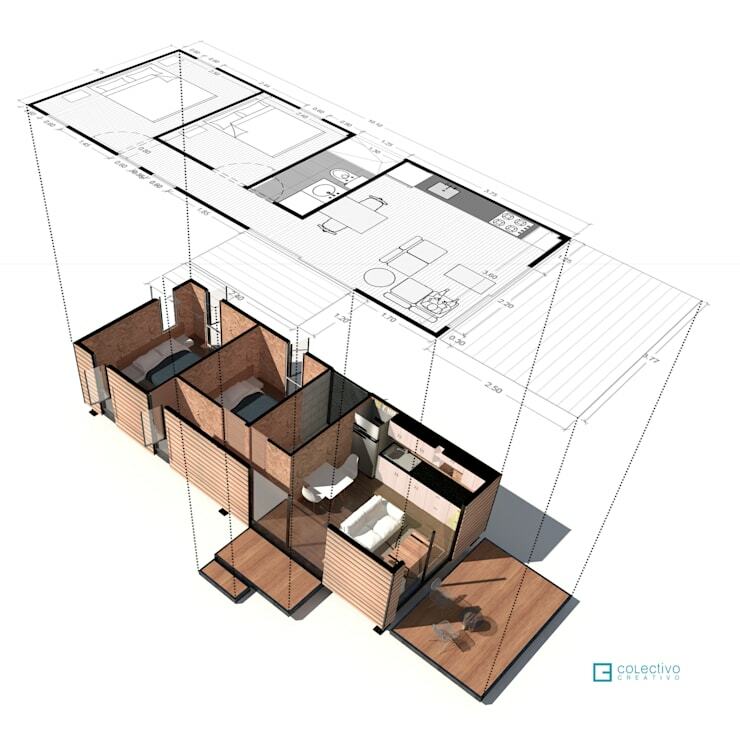 R660 015 (2 bedroom & 1 bathroom) Modular modern house—available to the local and export market. Waning fertility rates and a smaller average household size are also to blame for the increasing demand of smaller-sized homes featuring fewer bedrooms. This has meant a long-term decline in the percentage of homes built featuring three or four bedrooms. 10.9% of houses built between 1970 and 1974 had five bedrooms; for the period measured between 2015 and 2017 only 1.39% featured five bedrooms. Even the ever-popular three-bedroom home has seen a decline in popularity, going from 55.04% (for houses built between 1985 and 1989) to 39.25% (for the 2015 to 2017 period). Today, the two-bedroom home is the most prevalent in South Africa, with 41.46% of homes being built featuring two bedrooms, compared to 41.07% being three-bedroom abodes. It should also be noted that one-bedroom homes have also increased, going from 1.84% of total homes built in 1985 to 1989, to 12.05% for the 2015 – 2017 period. Of course we are not suggesting tearing down those extra bedrooms in your home, but when it comes to comparing size, it turns out houses with two (and three) bedrooms are more favourable. Lifestyle choices: Once the kids are grown up and out of the house, what are you planning on doing with their bedrooms? Use them as storage spaces? On the other hand, if you’re a young family with one child and are planning on expanding the family, then the extra space will become necessary. 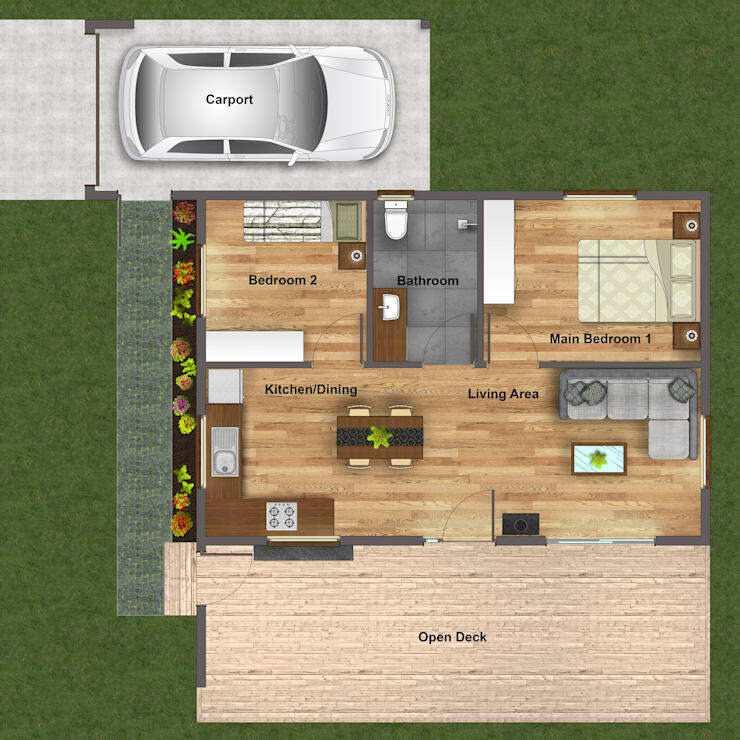 Converting a three-bedroom home into a two-bedroom one can work, but remember that it must suit both your current lifestyle and your future one. Open options: Weigh the pros and cons of turning that extra bedroom into something else, like a guest bathroom. Imagine five or 10 years into the future – will you still be living in that house? And if so, will you be happy with your decision? Resale potential: It turns out three- and two-bedroom homes appeal to the majority of the market when it comes to buying a house. But remember that it’s not only families looking to buy; people who are downsizing or singletons will also be considering a two-bedroom structure instead of one with multiple bedrooms. Thus, if you’re hoping to resell your home in the near future, consider the renovation costs versus the value of your home. Investment potential: In the past, the majority of bedrooms influenced a house’s value. Today, property investors are more interested in the luxury factor like a steam room, big bathroom, or even a walk-in closet. 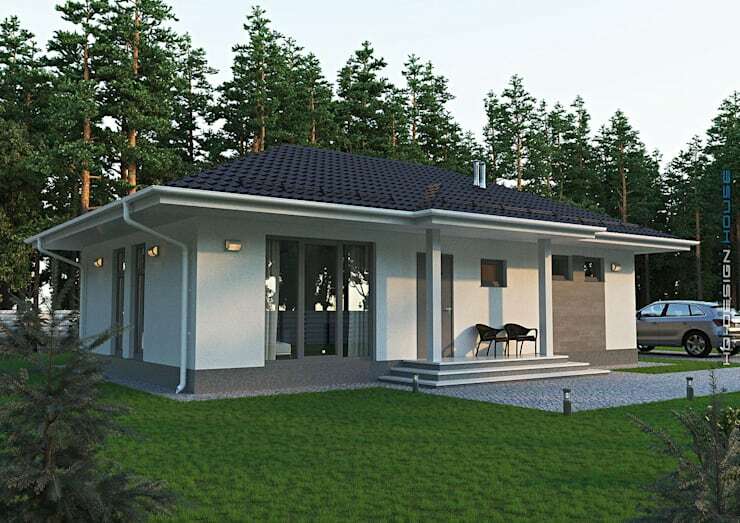 More energy efficient: Smaller homes undoubtedly use less energy as they have less space to heat and cool. This makes them a more favourable option in terms of ecological footprint. Less cleaning and maintenance: Fewer rooms means less time cleaning and home maintenance! The cosy factor: Unlike a mansion with five+ bedrooms, a two-bedroom house ensures a cosier, more intimate vibe. And let’s not forget the main reason why a lot of people (especially in South Africa) are opting for smaller homes: they are less expensive! Based in Johannesburg, architectural firm MNM Multi Projects is known for its design- and construction projects right across the Gauteng region. Firmly dedicated to delivering professional, accurate and personalised services to its clients, the company has a portfolio detailing projects in both the residential and commercial industries. •	3-Dimensional designs for projects. •	Electrical- and sewage layouts. To further inspire you for your small yet beautiful home, we have these 14 pictures of dream homes with their plans! Would you consider downsizing to a two-bedroom home?